The Ochsner Journal is a peer-reviewed quarterly medical journal, published in March, June, September, and December. The Journal is a pioneer in nonpredatory, open-access publishing: the Journal does not charge authors any fees for publication AND makes the full text of every article completely available online and in print. Such a model is widely known in scholarly publishing as the “platinum model” of open-access publishing. Since its inception in 1999, the Journal has provided a wide range of peer-reviewed, timely, and practical information. The editorial mix includes original research, literature reviews, reports on quality improvement projects and innovative programs, editorials, case reports, letters and other articles that span the spectrum of medical practice and scientific research. Each calendar year generally includes two theme issues and two issues devoted to general medical topics. Submissions from practitioners in all specialties are welcome. The Ochsner Journal does not publish third-party or sponsored content, nor do we accept paid advertising. 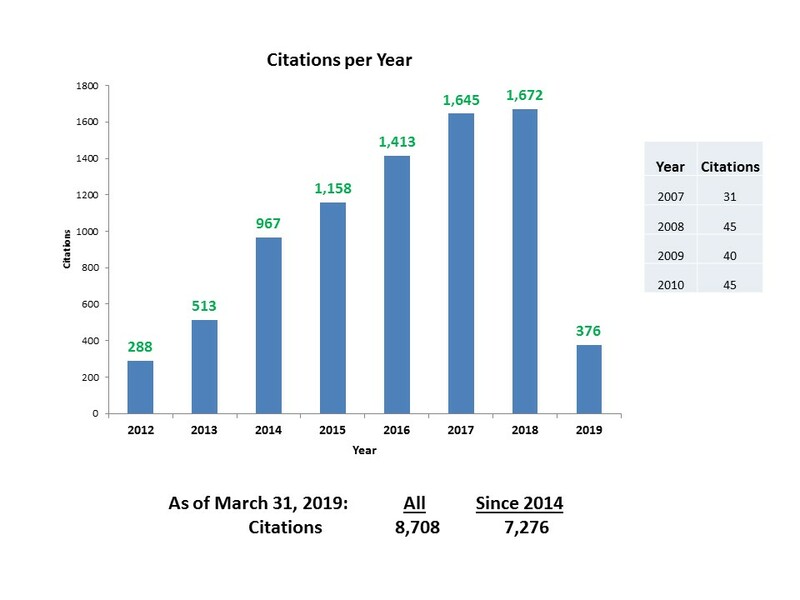 In late 2010, the Ochsner Journal began depositing the full text of every issue with PubMed Central, and since then, metrics related to article access and external citations have increased year over year at a dramatic pace. Click here to view Ochsner Journal Scopus CiteScore metrics. The Ochsner Journal CiteScore for 2017 is 1.15. The Ochsner Journal is published by the Academic Division of Ochsner Clinic Foundation. With 30 hospitals owned, managed, and affiliated, more than 60 health centers, nearly 17,000 employees, and more than 2,300 affiliated physicians in more than 90 medical specialties and subspecialties, Ochsner is one of the largest independent academic health systems in the United States, the largest health system in the Gulf South, and Louisiana’s largest private employer. Ochsner serves patients from across Louisiana, every state in the nation, and more than 80 countries. Ochsner is also home to the Ochsner Clinical School, University of Queensland with more than 400 students. The Ochsner Journal supports Ochsner’s mission to serve, heal, lead, educate, and innovate.